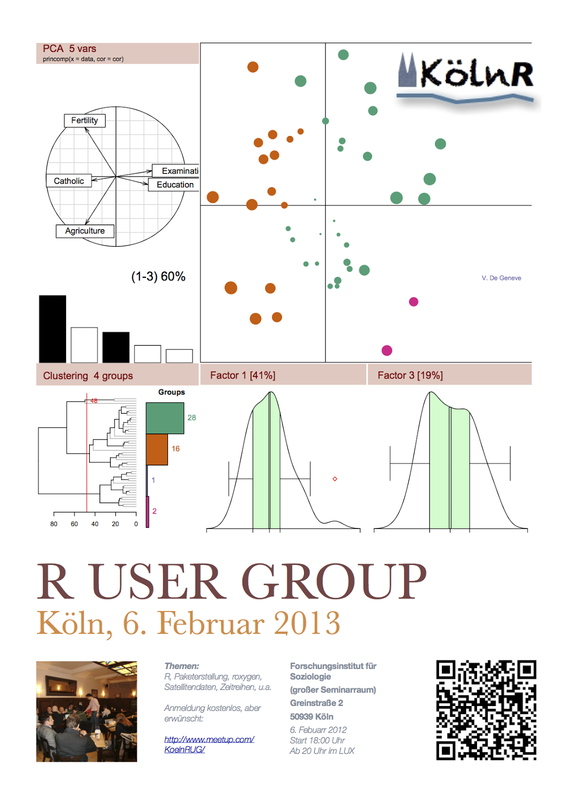 Quick reminder: The next Cologne R user group meeting is scheduled for tomorrow, 6 February 2013. All details and the agenda are available on the KölnRUG Meetup site. Please sign up if you would like to come along. Notes from the last Cologne R user group meeting are available here.